Voted #1 Real Estate Agent in Arizona by Ranking Arizona in 2017. 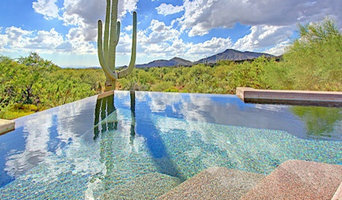 Carmen Brodeur is a luxury Scottsdale Realtor. She represents buyers and sellers throughout North Scottsdale including Troon North, Desert Highlands, Estancia, Desert Mountain, Grayhawk, DC Ranch and Silverleaf. Dina is focused on providing exceptional service to both our Interior Design and Real Estate Clients. She is both an award-winning home staging professional and a licensed Real Estate Agent. She is a member of the Arizona Women's Council of Realtors and the Real Estate Staging Association. 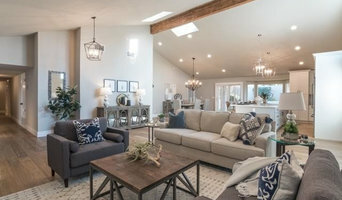 She was awarded the award for Staging Excellence in 2018 from the International Association of Home Staging Professionals. Her background in Interior Design drives her staging projects by emphasizing the positive aspects of a home and downplaying the negatives. Each project is curated to provide an optimum experience for prospective home buyers. 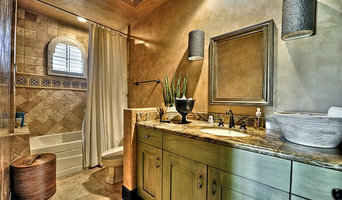 She recognizes the added expense of staging a home and provides FREE staging packages when listing your home with her. Her Design business is focused on remodeling and working with clients to select finishes, materials, and fixtures to create the client's dream home. Robert Miller is an experienced Residential Real Estate Professional with The JAY PATEL Group at RETHINK Real Estate. He has worked full time in Real Estate since 2006 and has lived in Peoria, AZ since 2009. Robert is a member of The Master Of Real Estate Society, holds both an ABR (Accredited Buyer Representative) and SRES (Senior Real Estate Specialist) certification and specializes in Area Sales Statistics and Market Analysis. Whether you’re buying or selling a home in the Phoenix/Scottsdale area, The Matheson Team RE/MAX Fine Properties can help you with all your relocation and real estate needs. Here are a few reasons why you should choose The Matheson Team: •Over 35 years of real estate experience in the U.S. and Canada •#1 RE/MAX team in Arizona in 2010 and 2011 •#9 RE/MAX team in the U.S in 2011 •The Matheson Team handled 307 transactions and $82 million in home sales in 2011. •In 2008, The Matheson Team leader Don Matheson achieved the Circle of Legends Career Award, an award only given to 121 people to date. Our team is focused on providing the latest area real estate market information and exceptional customer service. 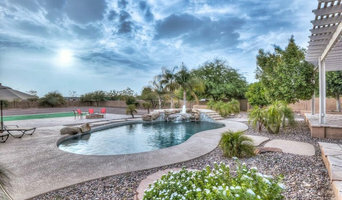 Learn more about the most recent real estate listings, housing market conditions and information about the greater Phoenix/Scottsdale area by visiting azgolfhomes.com, scottsdalerealestate.com and dcranchhomes.com or calling The Matheson Team toll-free at (888) 656-4830. Platinum Realty Network is a full service Concierge Style Real Estate Brokerage licensed in Arizona. We focus on the client making their real estate transaction painless and stress-free. Brokerage specialties include: Residential, Golf and Country Club Properties, Commercial, Commercial Leases, Land, Ranches, REO properties, Short Sales, Re-Zoning, Loss Mitigation Negotiation, Development. We take the clients request and work with them diligently to meet and exceed their expectations. Whether someone is searching for their dream home or wanting to sell their distinctive property, my focus is on helping each person I work with achieve their goals and enhance their life. I believe in building strong, long-term relationships with my clients and take pride in being a part of their real estate success. With an unwavering commitment to providing exceptional service, I believe it is critical to listen carefully, ask questions, pay attention to the details and be available to my clients every step of the way. This, along with offering the most comprehensive luxury home marketing programs and buyer services, sharing the most current and relevant market trends so that each client can make sound, confident decisions is what helps to achieve my goal of creating a seamless and positive real estate buying or selling experience. Success is always measured by my client’s satisfaction, earned by providing unparalleled service. Their interests are always taken to heart. HistoricPhoenix.com is Arizona's most comprehensive collection of Historic Information and Real Estate in the Downtown and Central Neighborhoods of Phoenix Arizona. Our Vintage Homes range from charming 800 square foot bungalows to luxurious Spanish Colonials sprawling over 5000 square feet. Our "not so vintage" homeowners are equally diverse ranging from Surgeons to Social Workers. Find out why the Historic Districts of Phoenix, AZ are the best neighborhoods to live in! Mike Tart | Precision Real Estate, Inc. If you are looking for your ideal residence in one of the “Valley Of The Sun” communities, Mike Tart is sure to find exactly what you’re looking for. As a resident of Arizona for more than 25 years, Mike knows the local neighborhoods and communities like none other. His extensive knowledge of the local area and market will be invaluable to helping you find your Arizona home in the neighborhood that is right for you or locating a buyer wanting to live in your area. As your REALTOR® Mike can help you find your dream home, sell your existing home and get you started with your mortgage. He has gained a well-deserved reputation as high performing, incredibly networked Valley leader, with a remarkable ability to recognize exactly what his clients are looking for and develops strategies to achieve their goals. As experienced real estate professionals who have been in the business over 15 years, our team will go above and beyond to ensure your complete satisfaction with the sale and/or purchase of your home. If your thinking of buying or selling real estate in the Phoenix Metro or Rim Country area, contact us! We welcome the opportunity to outline a professional plan to make your dream a reality and it doesn't cost you anything.To get started, all you need to do is contact us. We will go to work and have information on its way to you immediately. I am a professional, service-oriented REALTOR representing clients in the Phoenix Metropolitan Area. In addition to Real Estate sales, contract negotiation, and marketing, I offer, to my Sellers, staging consultation and a staging strategy, using their furnishings, to give their home the best possible presentation and a competitive edge in the market. Before and After photos of actual listings I have staged and sold are available on my website, as well as in my projects here on Houzz. I also offer Buyer representation, relocation assistance, and REALTOR referrals across the country. And I am a proud member of the Glendale Chamber of Commerce. Tempe, Arizona Green Realtor/Broker, AZ Desert Enthusiast & Hiker, Prosperity Evangelist, Energetic, Fun, Focused, Adventurer who loves Arizona and selling Real Estate! The MoJo Team is a team of professional and experienced Scottsdale real estate agents helping people in The Valley of the Sun. Based in the heart of Scottsdale in Realty ONE Group's largest office, The MoJo Team is #1 in Sales volume and transactions in that office and ranked in the Top 5 with Realty ONE Arizona. The MoJo Team is headed up by co-founders Morgan Hodges and Josh Hintzen. Both bring their passion and unique talents & abilities to each transaction. Josh and Morgan each have over 14 years experience of selling homes in Arizona and are both licensed brokers. When it comes to service, you will not find two better Realtors to deliver the best!! MoJo = MORE! Get in touch with The MoJo Team today! Also check out our website at www.MoJoScottsdale.com and www.mojoaz.com for more.